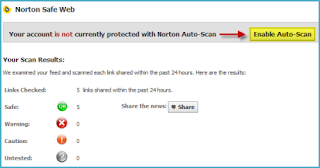 How to Scan Your Facebook Profile ? Facebook is the worlds largest social networking site where you discover new and interesting things every day.There is no age for addiction likewise you will find people of all age groups addicted to Facebook.You will find people doing nothing but just checking funny pics,posting links,spamming,commenting,advertising etc all day. 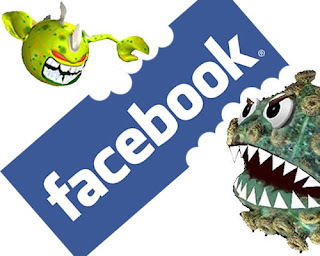 As we all know that the bad guys are everywhere.They love to trouble people and reap benefits by hacking,spamming 1000’s of Facebook profiles.We all have Anti-viruses on our computer but have you ever thought of scanning your Facebook profile?Now you can get notifications if there is a presence of virus and infected links on your Facebook profile. Scam them and kick them out of your profile. I hope this post would prove helpful to everyone. Kindly share your view about it and let us know if you have ever tried it. Hi, thank you for sharing. I do use Dofollow. It’s useful then. Thank’s again…..